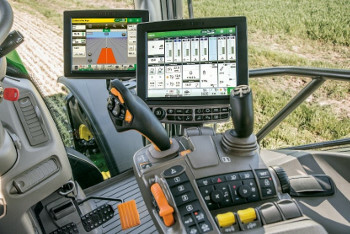 All 6R Tractors can be ordered with a secondary monitor mounted high on the A-post in operation with the 4600 CommandCenter Display. 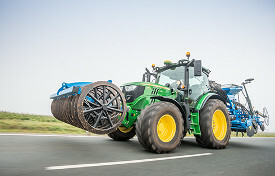 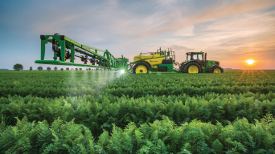 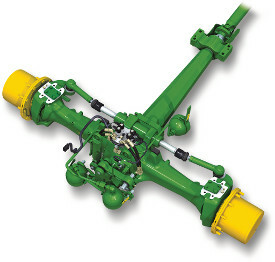 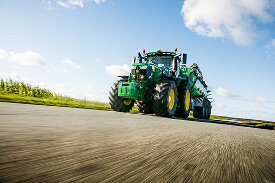 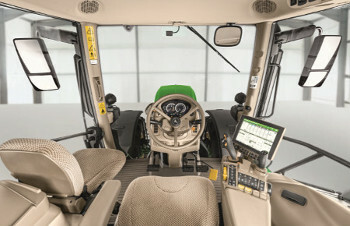 Variable ratio steering improves operator comfort, requiring less hand movement and less steering effort when turning on the headland or in confined spaces. 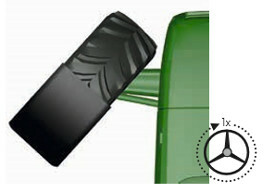 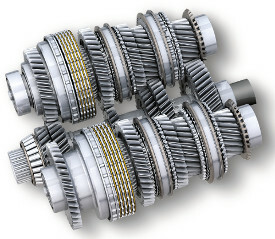 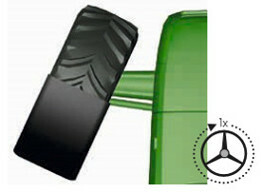 The resulting faster turning of the steering wheel increases hydraulic flow, leading to a quicker response from the tyres. 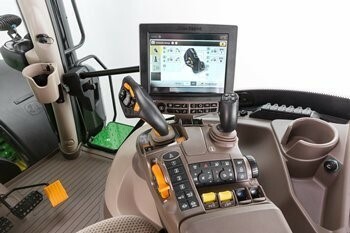 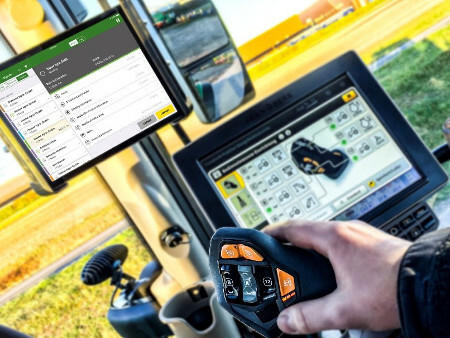 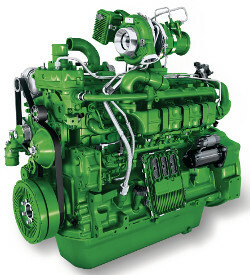 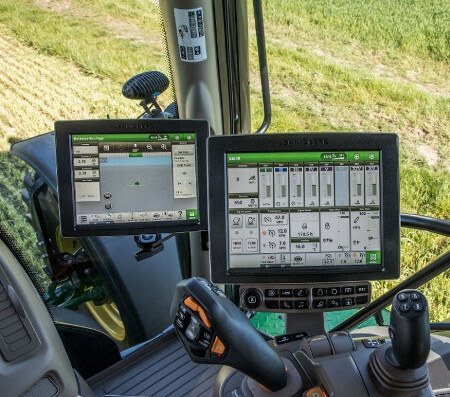 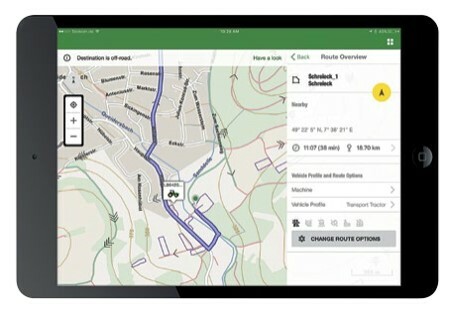 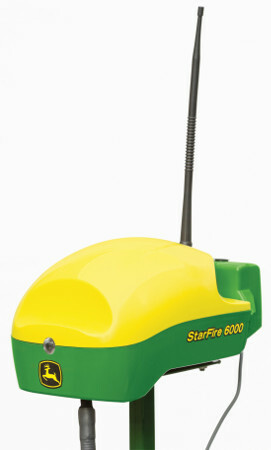 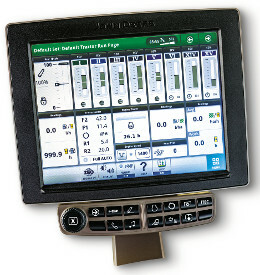 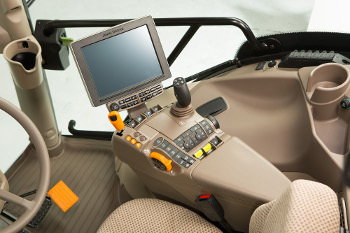 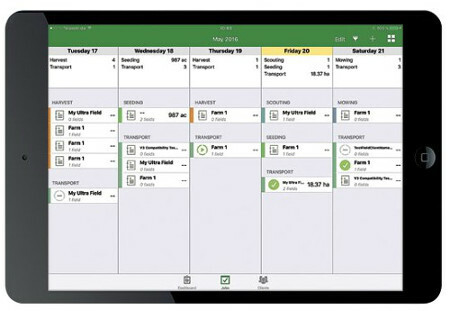 The system can be activated or deactivated in the CommandCenter™ display and is available for all 6R Tractors except the 6155RH.